Baking to perfection is a form of Art, of which Rosetta is proud to become a prominent representative. We want to share our love for Art with Artists of every part of the world, different nationality, styles or exposure. 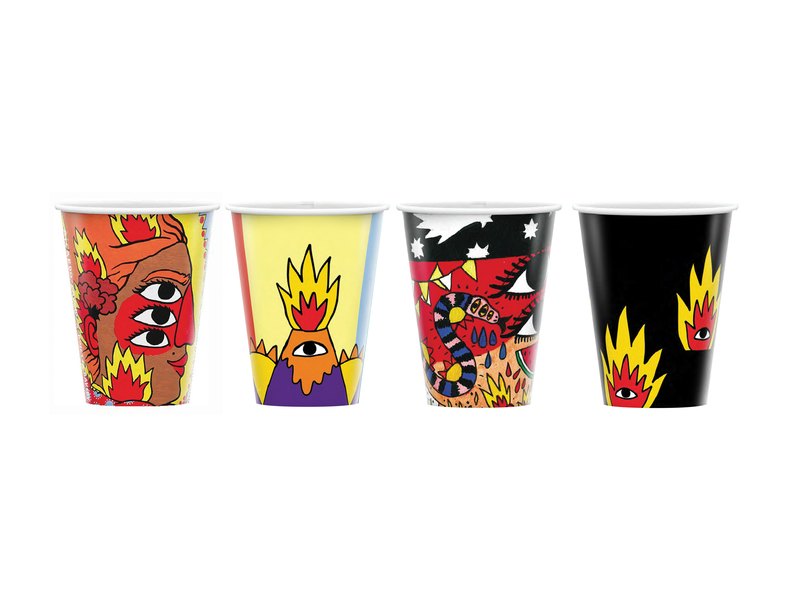 Every year Rosetta creates a Limited Edition Cups Collection in partnership with one or more artists, and for a limited period of time these cups are available in all our stores. 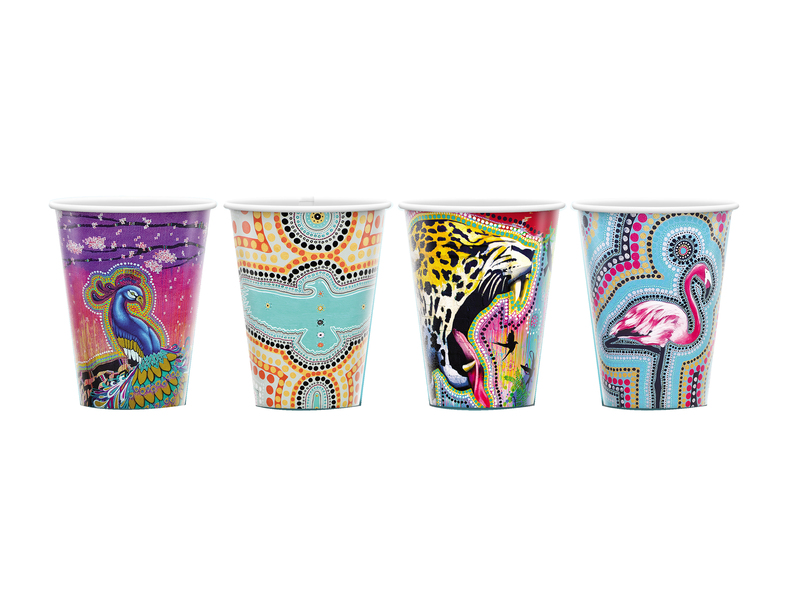 Every day cups changes and so does the arts, in this way our customers are tempted to collect all of them. Eclectic, wise and exuberant: these are the attributes that better characterize the art production of the italian artist Monica Casali, whose work is affected by a constant research and experimentation. She is a painter who loves to surprise! 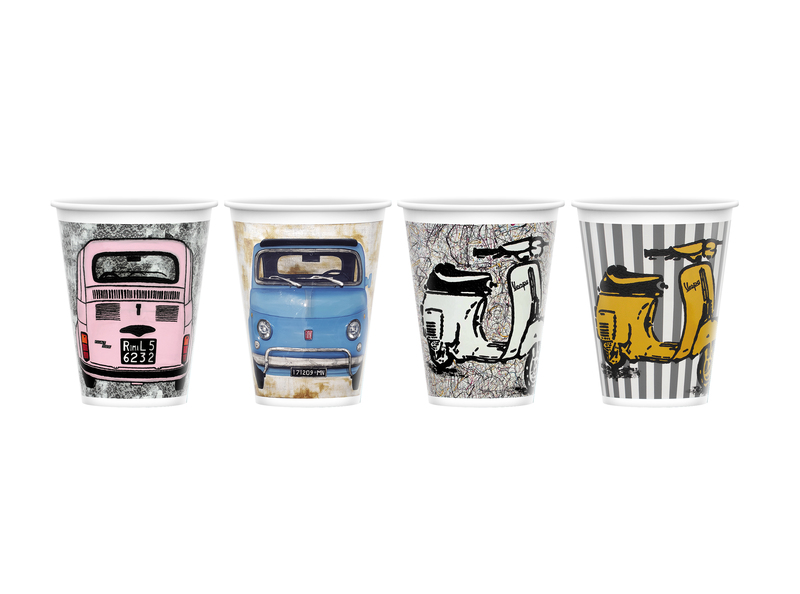 With her well known masterpieces "Vespa’s" and "500’s" on canvas, Monica brought the most powerful iconography of her country overseas, a real taste of Made in Italy. Diego Strano is born in Italy and way before his graduation in Architecture, he started to be a portrait and a cartoonist for passion. He likes to tell stories, to let in people in his personal colorful world and to fill the details always cheerful. For Art Basel 2018, Diego wants to tribute, with typical features, 4 cities (Buenos Aires, Hong Kong, Basel and Miami) Tango in Buenos Aires: two dancers are dancing passionately and on the background the wonderful Puente de las Mujer with his colors and geometric shapes. Hong Kong Wushu: a colorful background describes Hong Kong bay that is represented as a theatrical backdrop. The actors are a dragon and a panda fighting between themselves. 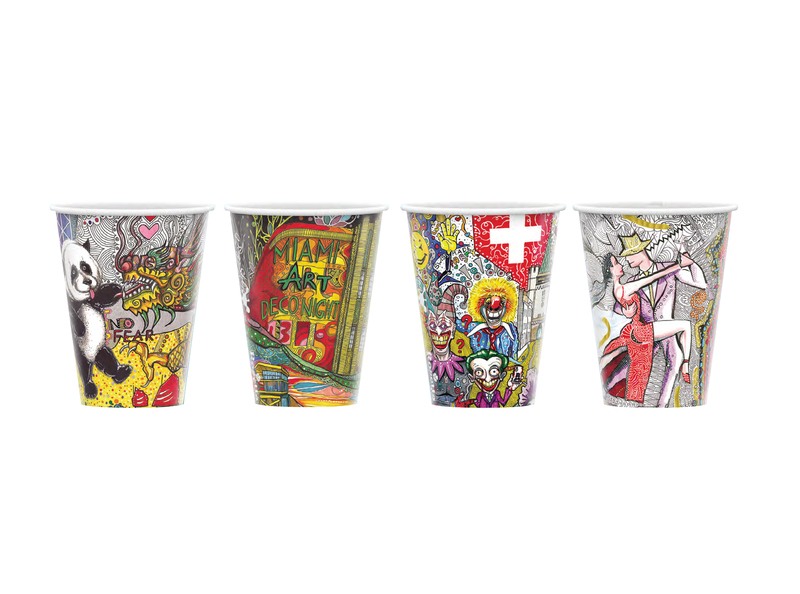 Swiss made party: Basel carnival, World Heritage Site, masks, colors, fun and lightheartedness are leading actors with the Spalentor gate and the Swiss flag. Miami Art Deco Night: an outline of woman face stands out close to a typical Art Déco architecture. Ricardo Cavolo is a Spanish artist based in sunny Barcelona. His eclectic international style is based on relationships with folk art, traditional and modern tattoo culture, European religious imagery and the tribal arts. Cavolo’s art is all about stories, characters and their experiences across time. Utilizing art as a complex narrative, Cavolo often focuses on portraiture. These depictions propel protagonists to champion their unique tales. Referencing religious and historical fiction illustrations, his use of symmetry and symbolism connect to a modern and playful audience. Cavolo’s portfolio features public murals and art exhibitions across the globe from Paris to Moscow and Mexico City to Hong Kong. Notably, Cavolo’s body of work includes illustrations, publications, fashion collaborations and a wide variety of commissioned works. © Rosetta Bakery. All Rights Reserved.